Truth be told, dental offices are not always at the top of people’s list of places they want to visit. However, having your regular dental checkup is essential. This will ensure that your oral – as well as overall health – is in tip-top shape and condition. According to a study conducted by the U.S. National Library of Medicine, 25 percent take the dentist’s overall competence into account when choosing among dental offices; 20 percent of respondents rely on the recommendations from their family and friends. Others consider the overall quality of the services provided along with patience and respect. There are several factors to consider when choosing a dental office. In today’s post, here are some things to look for when you’re in search for your next dentist. From the first phone call, the staff at a dental office should be helpful and willing to answer any of your questions. If they can’t offer you the answers you seek, they should not hesitate to direct you to the right source. 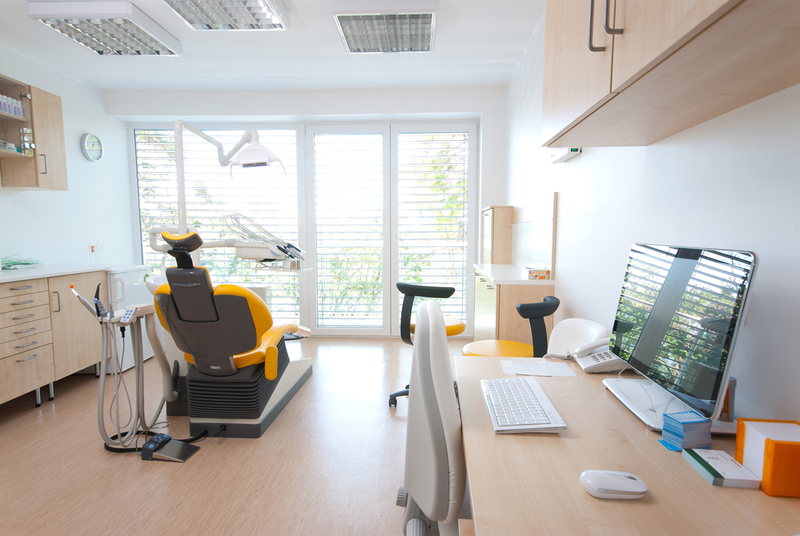 Your next dentist office should be conveniently located to you. Ideally, the office should be a comfortable drive from your place of residence. It should also have adequate parking and ease of access, especially for special needs patients. Dental anxiety is real. Some people put off going to the dentist because of it. As soon as you step into the dentist office, you should feel comfortable and welcomed. This will help you ease your mind as you get your dental checkup. It’s not wrong to expect a health office to be clean and organized. Since dental offices provide oral health services, it’s a good sign if the premises are clean with no unpleasant or unwanted odors. Apart from the treatment rooms, the front desk, hallways, and bathrooms should also be clean. All professional dentists should have graduated from a reputable and accredited dental school. They should also have a state license. A quick search online can help you obtain this information. However, if you’re still unsure, it’s best to go with recommendations from trusted family and friends – since they will have already gotten dental services firsthand. 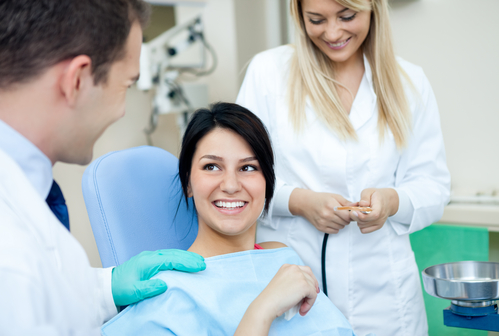 A good dentist should know how to adequately explain each dental procedure he or she will recommend to you. This trait may help take some of the anxiety and stress that come with a dental visit. When you know what’s needed to be done, you’ll understand the importance of it. Aside from the techniques and tools required for each procedure, a good dentist should also explain why a certain procedure costs however much. This will help you make sense of the process. Dentistry is an ever-changing industry – especially when it comes to cosmetic dentistry and dental implants. Many technologies are being developed to ensure that these dental services remain topnotch. Thus, a good dentist should always be updated on the latest news and trends in their field. This will help them deliver the best service possible to their patients. A good dentist should know how to discuss pain and with patients who have dental phobia. If a patient has anxiety before or during the dental visit, he or she needs to make sure that this is adequately communicated with the dentist. This will help them come up with a plan to manage the pain and discomfort of the patient. Making an appointment with the dentist’s office should always be done at the patient’s convenience. While it’s good to know that your dentist’s office is busy (with a lot of satisfied patients), you will also want to have access to him or her when you need it. Some dental offices are open beyond the regular daily working hours to make sure they can accommodate their patients’ needs. You should, at all times, feel safe and accepted in your dentist’s office. Aside from the assurance that all the dental procedures will be safe, you should also be assured that confidentiality between you and your dentist is maintained. You should also feel accepted and never judged for any healthcare or financial decisions you make.